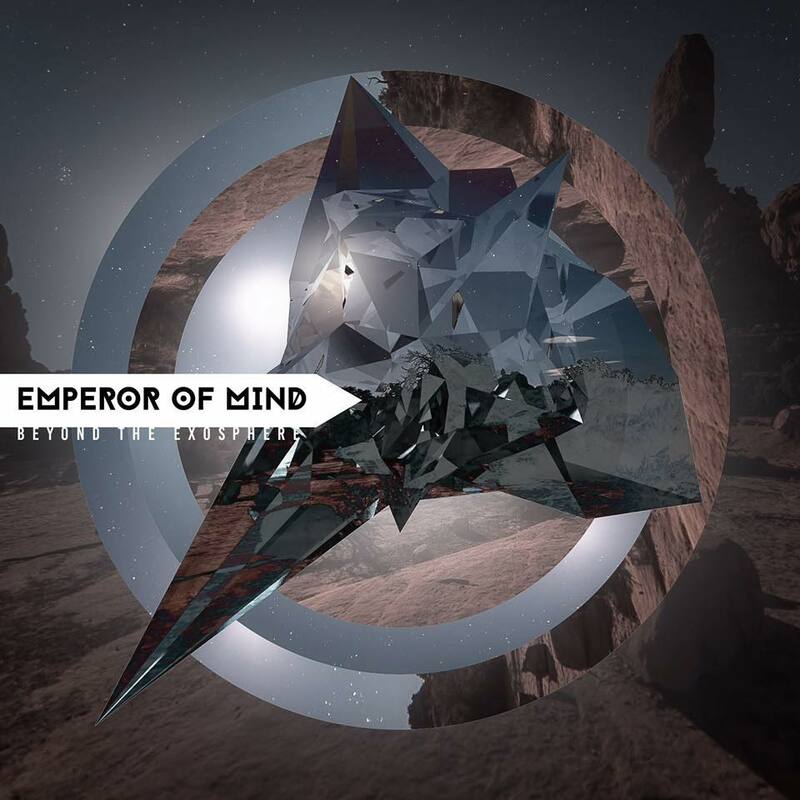 Emperor of Mind is an instrumental progressive metal project from upstate New York led by guitarist and composer Alexis Christensen. Back in April 2016, Alexis put out a debut full-length record titled Beyond the Exosphere. The album features guest appearances from Olly Steele, Jacob Davenport, and Dmitry Demyanenko. Although Beyond the Exosphere is relatively new release, the project already has some big plans for 2017, starting with the release of a new single “Some Funky Molecules” later this month, another single “Omnipresent” in February, and the sophomore album titled Resistance which is scheduled for a release later this year. Prog Sphere talked with Alexis about her work with the project, and more. Define the mission of Emperor of Mind. Our mission is primarily to exceed creative boundaries and to expand the variety of emotions felt in music. When I get into writing mode, I’m thinking a lot about the future of music and I think people are going to feel that in sections of this next album. I really started writing the album after I came up with “Ember Lit Echo”. At that point I realized I wanted to do something where the focal point of the album would be these huge, atmospheric and cavernous like cleans. I felt really determined to create an album of songs that would flow together like a story so I spent a lot of time thinking about the undiscovered natural world here on earth and beyond. The majority of songs began from a clean passage where I would later add a layer of synths to bring forth that sense of atmosphere and mystery that we often coincide with space. I love a lot of chaotic music so I applied that influence to the heavier aspect of the album but tried to keep a more groovy feel in songs so that there would be a balance with the cleans. A lot of the songs I later would reintroduce clean passages that may have been in a previous song so you could feel that reoccurring theme that I feel ties the album together nicely. Whenever I would come up with something new that i felt fit for a song I would keep playing it over and over and record it on the voice memo app on my phone. I just recently deleted a lot of my old voice memos from the writing process of “Beyond The Exosphere”.. It was sad but I needed the space for ideas for the next album. I feel like a lot of it was by happy accident but then again I was really determined to put something together that could be seen as just one large song. I didn’t write the songs in order or anything. I just had it in my mind that this was a story so each song had to be it’s own part of the puzzle, each song has its own identity.. but, it was later on when by accident I started using clean passages from previous songs and reintroducing them in others that they pulled the whole thing together. This was the first time I was taking my music serious enough to make an album so this was my first time recording. We focused a lot on the clean end and putting together synths that went well with each section. I knew I wanted to work with a few guys from bands I loved that I felt would fit on the album. I was fortunate to be able to work with Olly from Monuments, Dmitry from Shokran and Jake from The Empire Shall Fall and have them contribute solos. How long “Beyond the Exosphere” was in the making? Overall, “Beyond The Exosphere” was probably 7 months in the making. I started in late March or April of 2015 and writing lasted until the fall. I was listening to a lot of Widek and The Contortionist who have done similar concept releases, Periphery and The Empire Shall Fall as well. The Dillinger Escape Plan have been a big influence on me creatively.. more and more as of lately. You are about to release a new single titled “Some Funky Molecules.” What to expect from this one? This song is going to be a lot different than anything from “Beyond The Exosphere”. This one is more chaotic, more experimental, it’s a heavy one. It opens very aggressively and then gets groovy and more melodic towards the end. It doesn’t shy completely away from the cleans either. I feel this song best represents my writing style. Beside the mentioned single, you have in plan to release another single titled “Omnipresent” and the second album “Resistance” during 2017. What does the timeline look like? We are going to release “Some Funky Molecules” in January and release the second single, “Omnipresent” in February which features our new guitarist’s writing style. 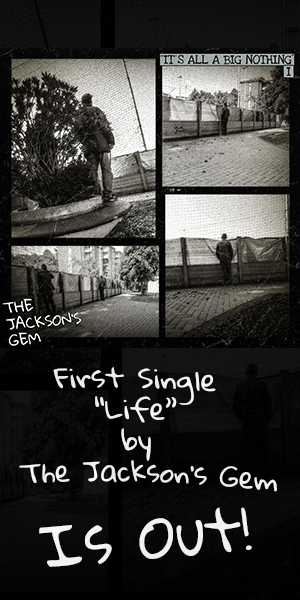 I’m planning to have the album pre-sale begin in mid February, hopefully get a couple new T-Shirts to go with it. It’s looking like a late March-April release for the album. We will have more information regarding that soon! Any technology that can further our music’s quality we will undoubtedly take advantage of, we are super avid users of the Axe fx when it comes to recording. Technology and music tend to go hand in hand as they both have evolved simultaneously, this meaning to us that using the contemporary technology we have access to is somewhat essential for us to produce our best music. I really hope so, I get a lot of influence for my music from politics. I certainly believe that our newer music is conveying a strong political message that really reflects our personalities which is super important to us because it shows that we aren’t afraid in any way to express our political views within our music. With the upcoming album, “Resistance”, a lot of the song titles are influenced politically and I want to work more on experimenting with instrumental music and giving it a message whether its by videos or something. I’ve been thinking a lot about how to combine politics with instrumental music. We are going to continue to writing albums, start writing an EP in the spring. We have started to plan for touring so hopefully by late 2017 we will finally be playing shows. I plan on ordering more merch throughout the year, something I never got to do in 2016. We are starting to plan a lot ahead for the future. If you enjoyed “Beyond The Exosphere”, Thank you! Keep up to date with us on our Facebook page. we will have more information in the coming month regarding the next album, “Resistance”.